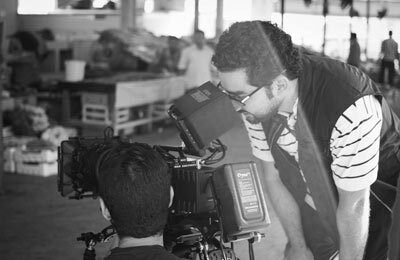 A Bahraini filmmaker will become the first Arab to take part in an international film festival in New York this weekend. Elements Cine Productions co-founder Saleh Nass' short film Lu'bba (Game) will be screened on March 1 at the Manhattan International Film Festival (MIFF), said a report in the Gulf Daily News (GDN), our sister publication. The annual event is organised by World Youth Alliance (WYA) and will screen films by 13 filmmakers from a pool of 130. "Lu'bba is the first Arab film to be selected for MIFF," said WYA Middle East regional director Cedric Choukeir. "The regional office of WYA is happy to finally see Arab issues and art screened on the international scene." Nass said his film's inclusion at the prestigious festival was a testament to its universal story. "I like the fact that I'm contributing to making Arab films more accessible to international audiences," he told the GDN. "Having festivals take in my film isn't good just for me, it's good for any Arab filmmaker who wants to do the festival circuit. "It's a testament to the fact that there's more interest in films from the region." The film is about a young boy who gets dropped off at a park to take part in a football game, but is excluded and watches from the sidelines. "I made the film at a workshop in Dubai with Palme d'Or winner Abbas Kiarostami," said the 28-year-old. "We were asked to portray loneliness and that was the fruit of that labour. "Lu'bba has now been in more than 20 film festivals around the world. "I've stopped submitting it at festivals because I'm ready to show my next project, but festivals are still requesting for it." His next project, Suq Al Markazi (Central Market), is completed and ready for this year's festival circuit. The film is about a boy who works at the local fruit and vegetable market in the afternoon carrying groceries and produce. He is always looking for opportunities to make money and gets a chance to make serious cash by trying to milk a small goat at a nearby pen. "I've also written a feature film which I hope to be able to produce by the end of the year," he added. "We're finalising development for that."